Wanna know about a salad in a samosa, intrigued check out this Vegetable Salad Samosa by Pia Verma of Cook Healthy. 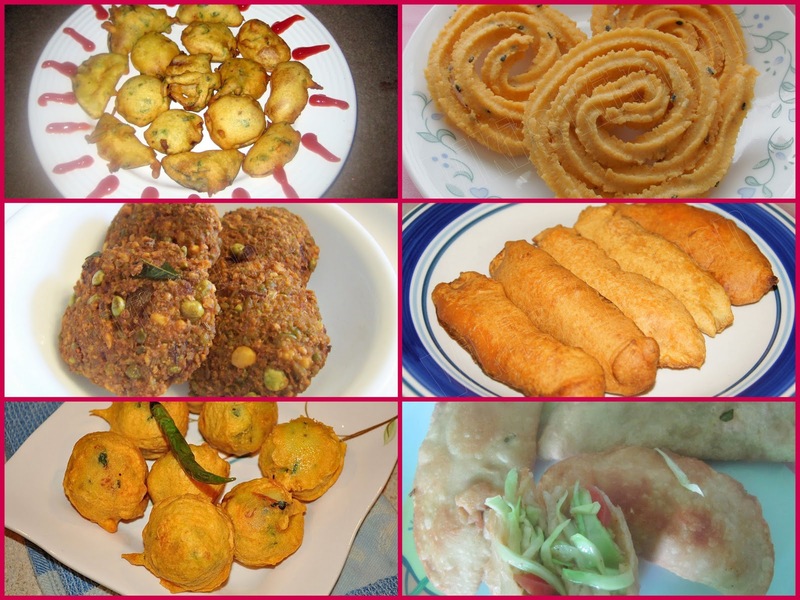 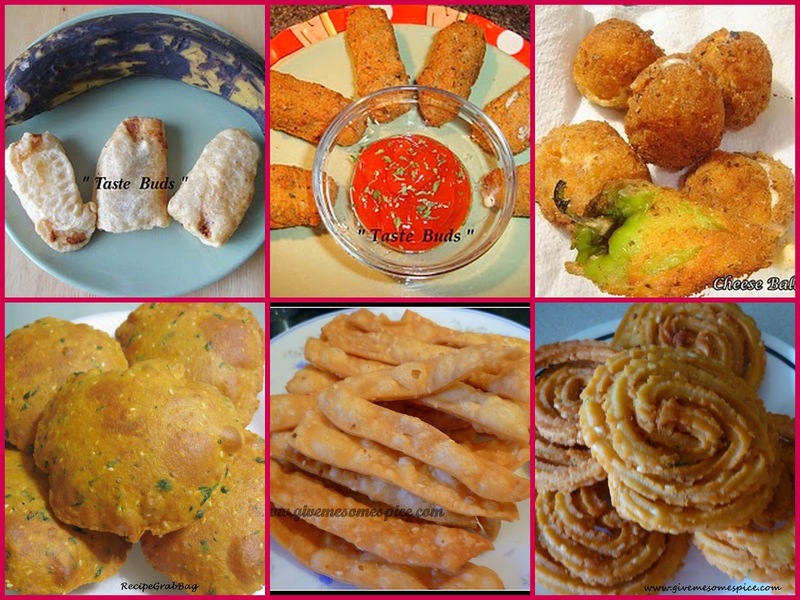 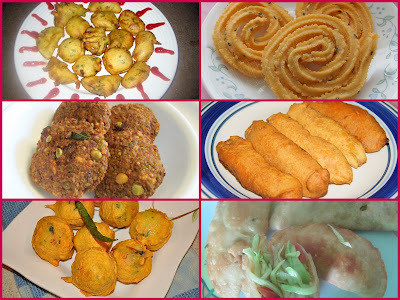 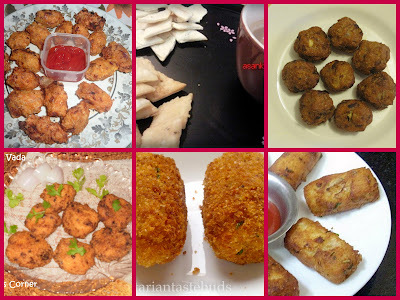 Check out this Baby Corn Fritters sent in by Smita of My Tasty Treats. 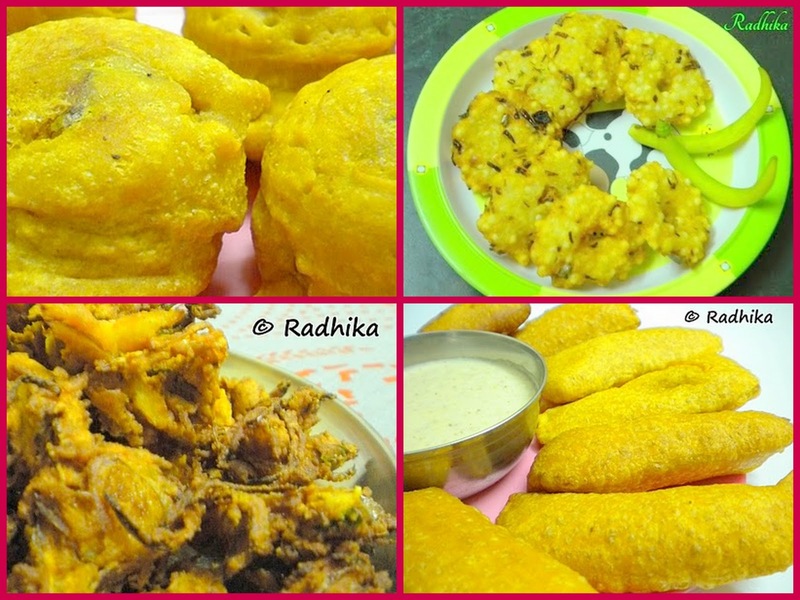 Arundhuti Rama of My Saffron Kitchen has sent Beguni (Fried Eggplant Fritters) which is something new to me. 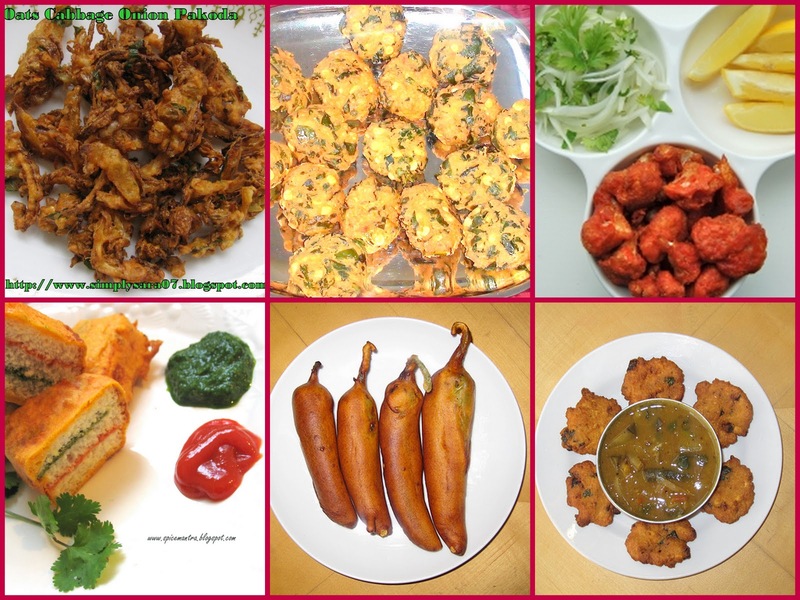 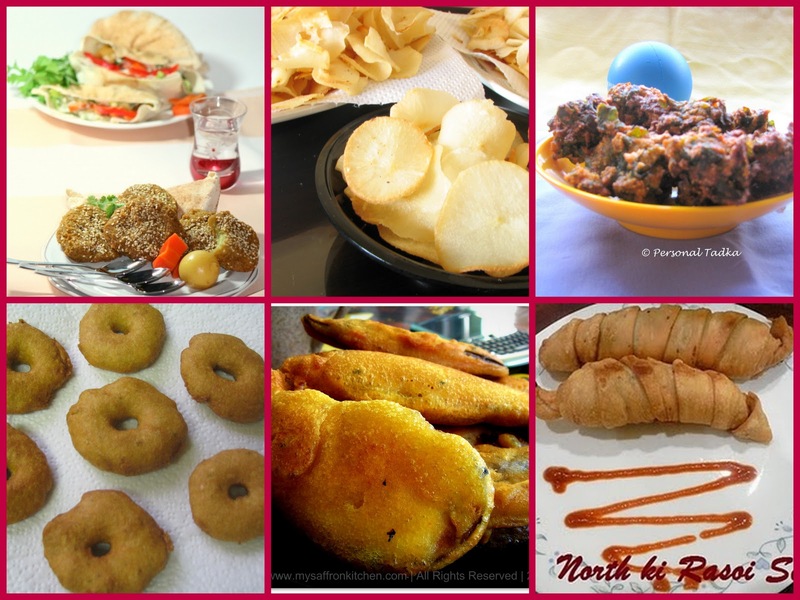 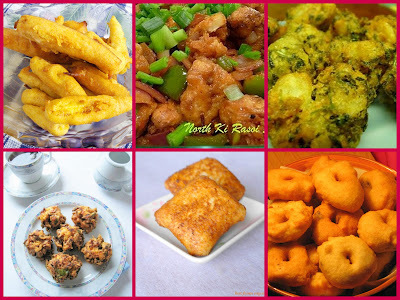 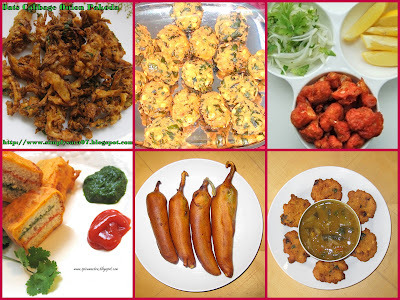 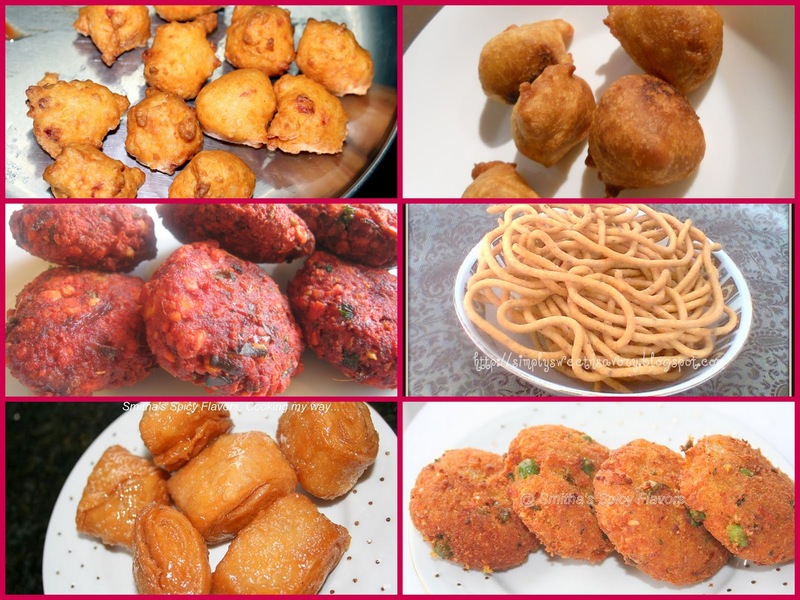 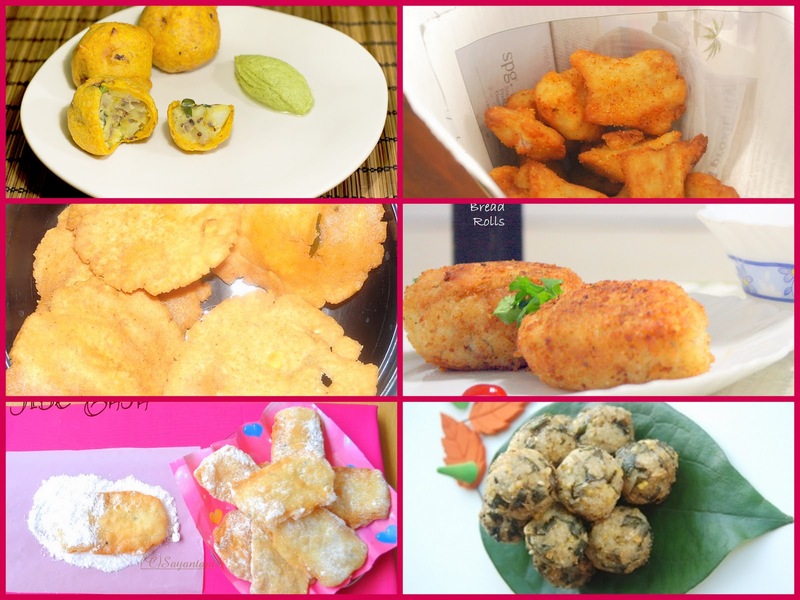 This is my all time favorite Banana blossom vadai sent by Krithika of Krithi's Kitchen. Wishing for Bhajjis this should satisfy your hunger pangs Raw Banana Fritters sent in by Padma of Padma's Recipes. Sangeetha of Sangi's Food world has sent these yummy looking Cabbage kofta . 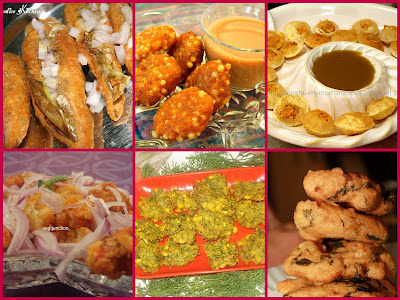 Don't forget to check this out. 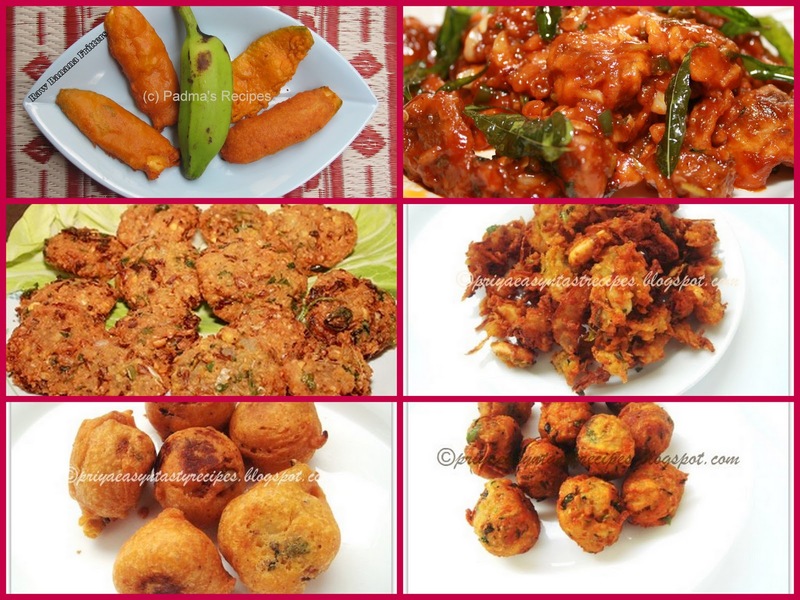 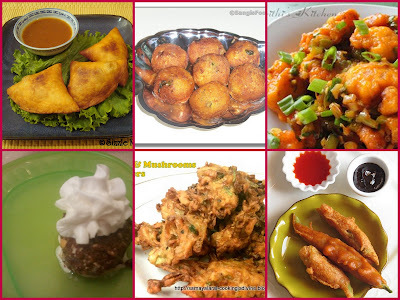 Looking for some yummy looking Gobi Manchurian sent by Krithi of Krithi's Kitchen. 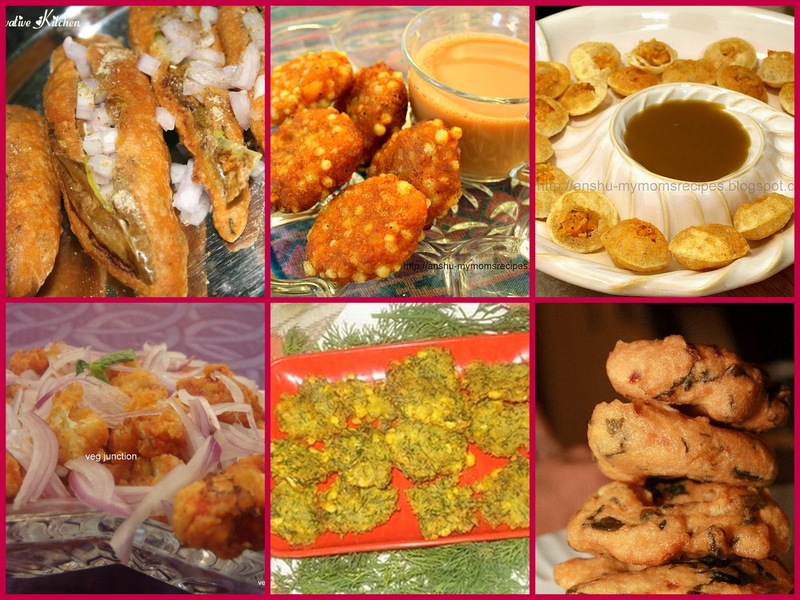 Nashira Usef of Plateful has sent in this all time favorite Mirch pakora - Mulaku bajji. 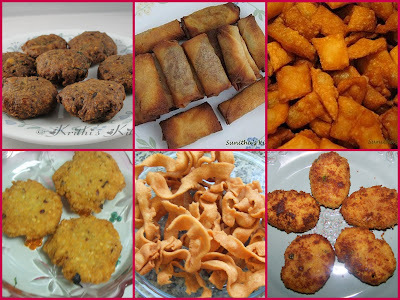 Saraswathi Iyer of Sara's Corner has sent in healthy and crispy looking Oats Cabbage Onion Pakoda.